What you thought of Motherhood! The Motherhood exhibition closed at The Chelsea Gallery on Sunday (Mother’s Day) and began a short tour which sees it move today to The Child and Family Practice in Islington. The 16 artworks by the Lots Road Group will be on show for two weeks for clients of the practice, before they are exhibited at Heatherley’s w/c Monday 12 May for staff and students.. 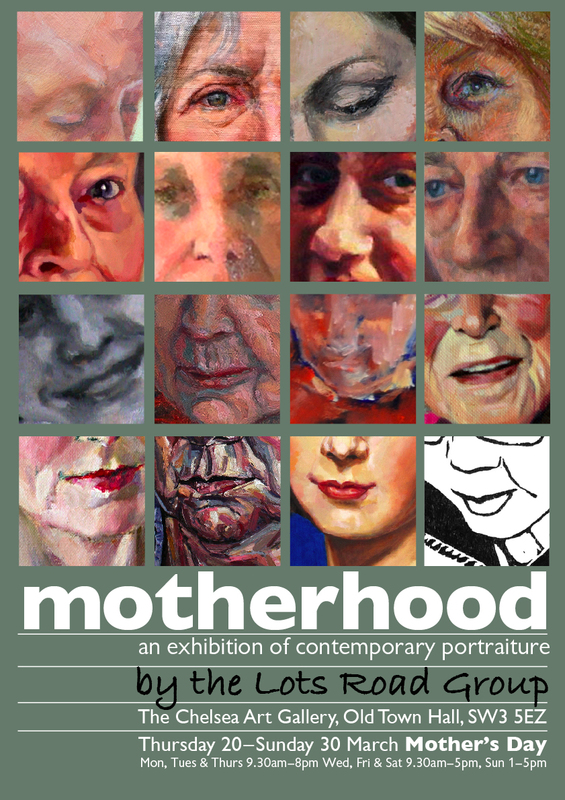 The Lots Road Group is very pleased to announce that we will be exhibiting together next week at The Chelsea Old Town Hall with our very first show ‘Motherhood’. Motherhood is a Chelsea portrait exhibition and book that celebrates mothers, grandmothers and mothers-in-law. The book contains all the portraits featured in the exhibition which are executed in a variety of media from oils, acrylics and pastels to print. Some were completed from life, others after death from studies and photographs. It also provides a fascinating insight into the craft of portrait painting: from the artist who set aside her oils for speedier pastels to portray her mother with life-long back problems, to another who describes the quick work required to capture the likeness of a mother-in-law, suffering from Alzheimer’s, who would ‘forget’ her presence, to another who listened to the music she used to share with her mother to help her complete the portrait begun before her death. It also features a foreword by Heatherley’s Principal Emeritus, John Walton RA, who writes about the portrait he painted of his own mother. All portraits show the acute powers of observation and attention to detail instilled into students at one of the few art colleges in Britain that focuses purely on portraiture, figurative painting and sculpture. Welcome to The Lots Road Group blog. 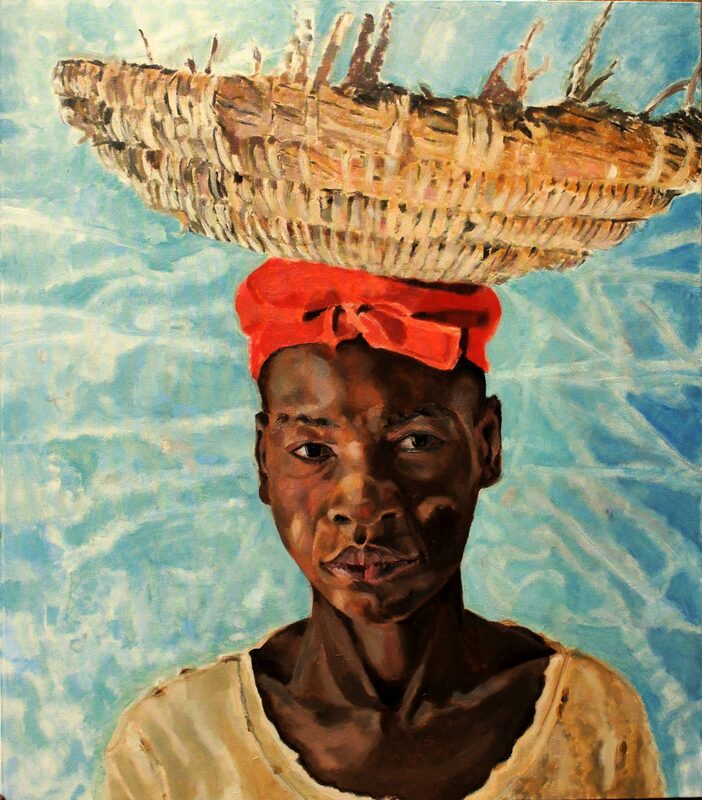 The Lots Road Group is an informal association of painters, many of whom have an affiliation with The Heatherley School of Fine Art (situated in Lots Road) and are engaged in portraiture. It is an independent group and established in order to facilitate camaraderie and provide a platform for exhibiting and maintaining professional networks.